Anywho! As previously mentioned (i.e complained about) our current kitchen’s stove is downright awful so meals have been of the easy and mostly bake-able variety over the past few months. 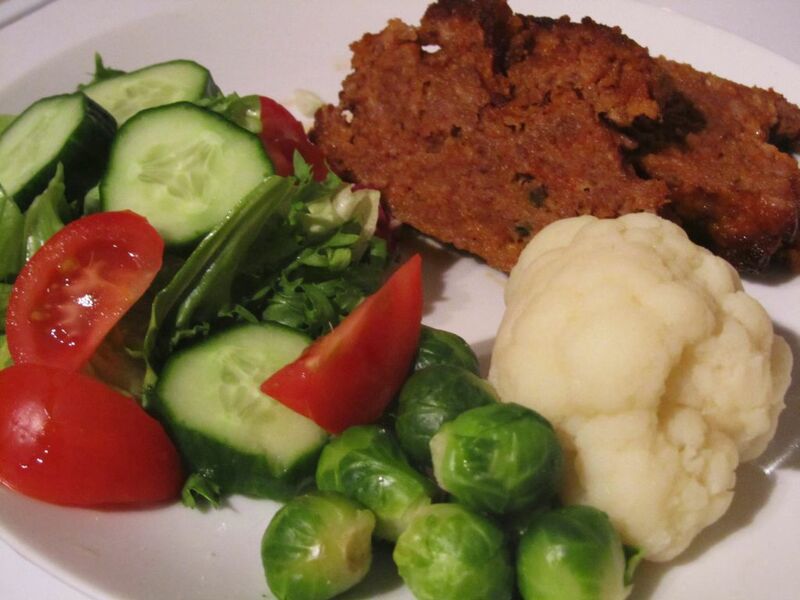 Meatloaf most definitely falls into the easy and bake-able category so it’s become a favourite served up with buttered bread and lots of veggies. 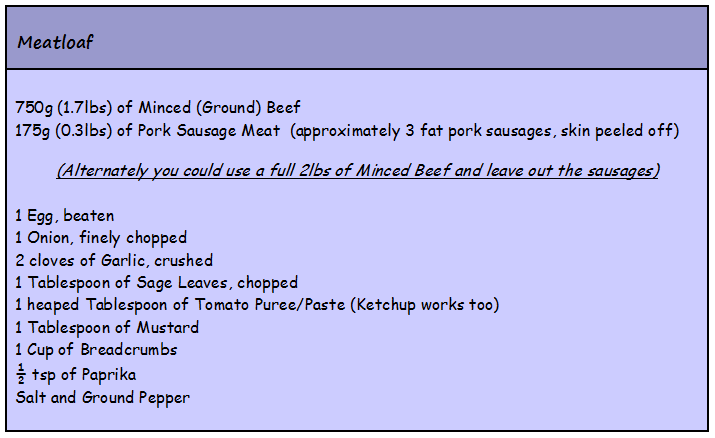 I think most of us have a tried and tested meatloaf recipe so I figured I’d share mine this week, feel free to tweak it however you like. Did I mention this baby isn’t pretty? 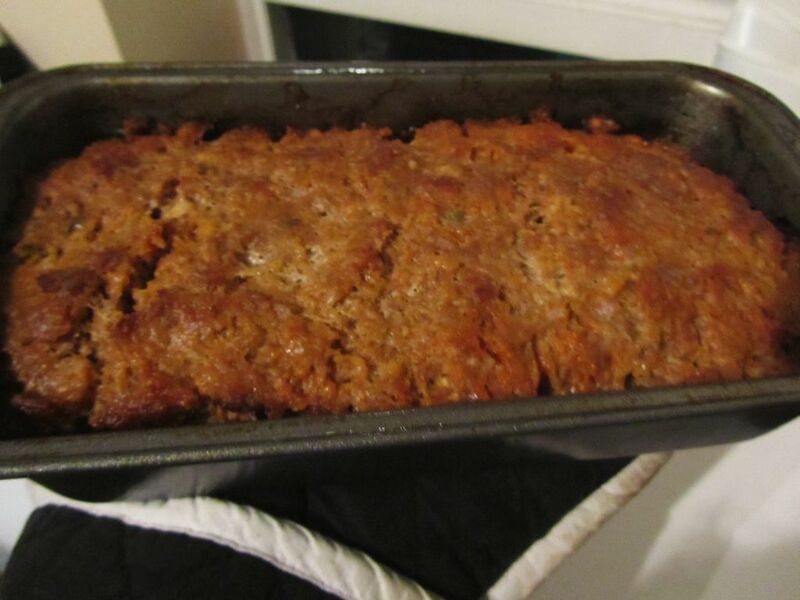 My hubby’s favourite way to eat meatloaf is with buttered bread and ketchup. I have it minus the bread and butter and it’s still pretty awesome! I was just thinking of you this morning that I hadn’t heard from you and hoped everything was ok. You’ve been making Meat Loaf!!! Yeah, that second picture is, um, well like you said, gross. I think it’s the egg white that glazed over the sausage that makes it unappetizing. LMAO!! 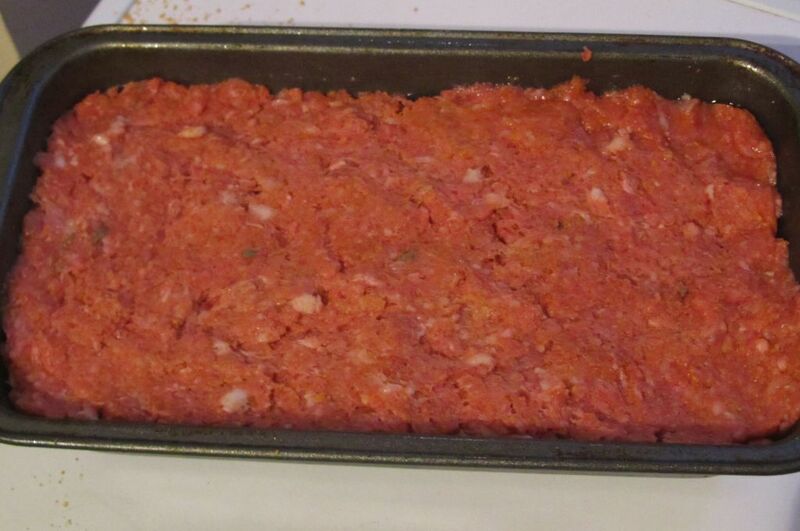 I used to make my meat loaf in the loaf pan and had my share of the bottoms, sides, the whole thing stuck despite the measures used to keep it from sticking. 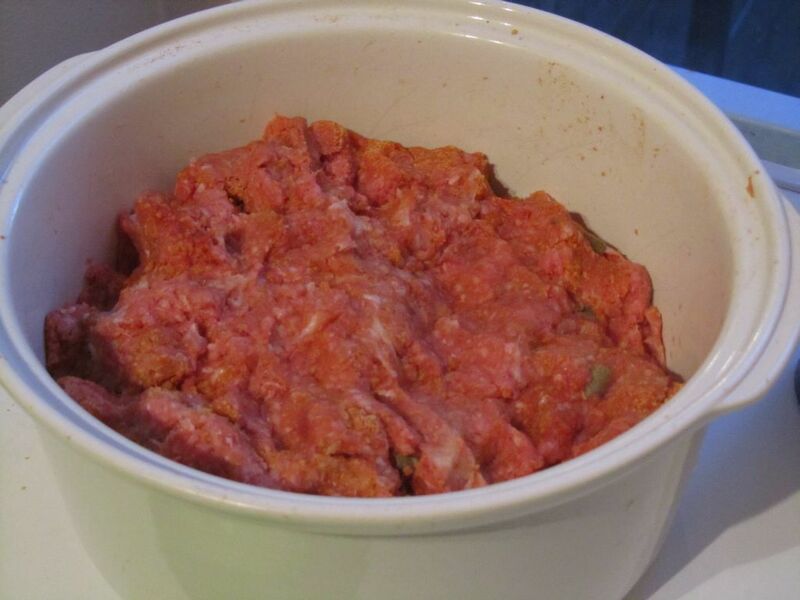 After watching Alton Brown “Good Eats” one night, I noticed he didn’t use a pan at all (he put in sauted veggies in with the meat/pork mixture! He diced up carrots, celery, bell pepper, onion, garlic). He just dumped the mess onto a baking sheet and molded it into a loaf form. 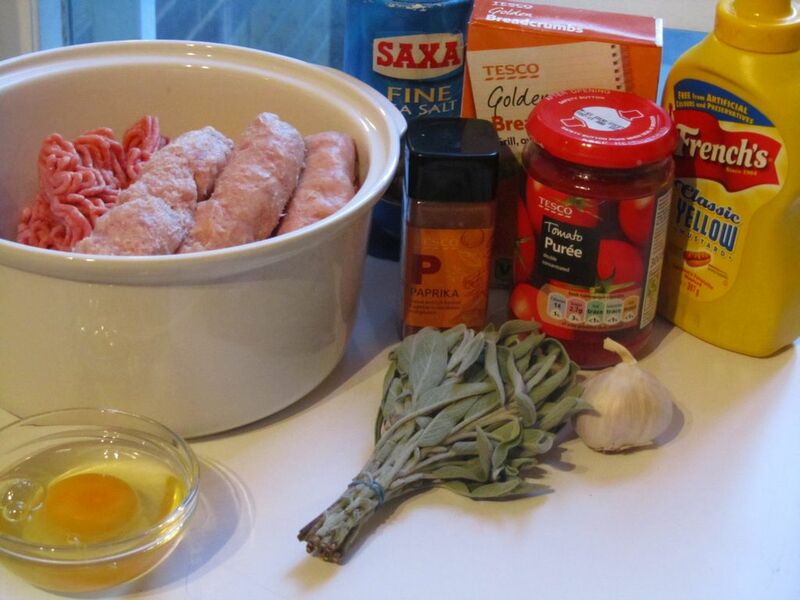 Here in the US, we top meat loaf (well some people do) with ketchup and bake it. Or BBQ sauce. I’ve used left over spaghetti sauce. But this eliminates cleaning a pan. Line the baking sheet with foil. You could spray the foil with no stick cooking spray or if it’s available Reynolds Wrap has no stick aluminum foil which is a god send! 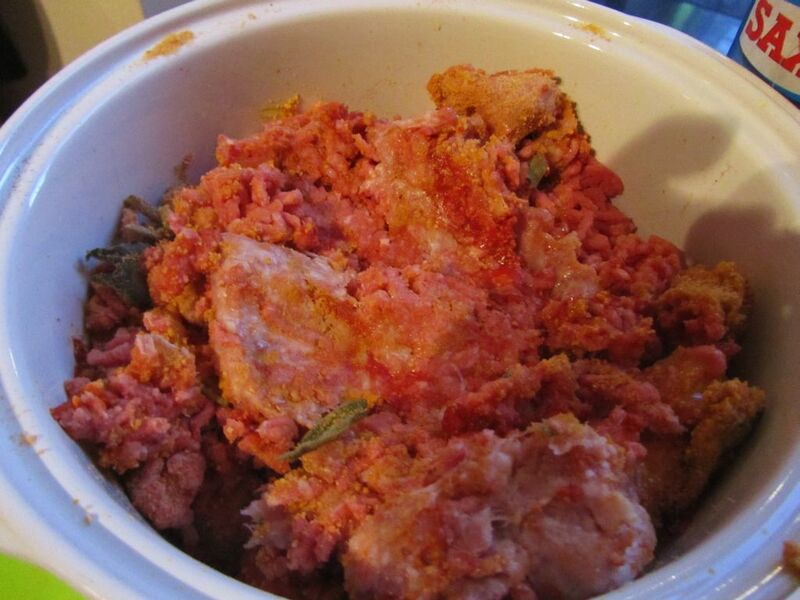 There are SO many variations to meat loaf! I used to HATE it when I was little. Now my kids HATE IT! But as I got older I’ve learned to enjoy it! We serve it with mashed potatoes or noodles with gravy and sometimes home made rolls and butter with of course a side of veggies. Oh that’s an awesome idea sticking it on a baking sheet without the loaf pan! I’m a huge fan of a pretty much washing up free dinner so will definitely try this next time. I guess it actually makes complete sense now that you’ve pointed it out, I mean it’s not a batter that needs to rise and expand so why do we need a pan to contain it! My Mum’s meals all came out of a jar and normally involved rice or pasta growing up so the first meatloaf I ever ate was my own. My only complaint is that it’s too easy to over eat on meatloaf and make yourself completely sick of it. I agree, because it’s so easy to prepare you can get carry away. You could serve sandwich rolls and make Meat Loaf Sandwiches for dinner. Just serve some raw veggies. My mom was queen of meat loaf! She also make roasts. I wasn’t a fan of roasts and I’m still not. I don’t think I’ve ever made a pot roast or a pork roast ever. I like to stick to the easy stuff. Things that take longer to cook than they do to eat doesn’t make sense to me. I must admit I love a good roast. I used to hate making them (all that vegetable chopping and the mess afterwards) but it’s one of hubby’s favourite meals so I kept plodding on (hating every minute of it) until eventually I ended up liking them. Years without a dishwasher and then suddenly having one definitely helped with me converting to liking roasts. I’ll never be into the whole weekly roast thang but maybe once a fortnight? Bubble and squeak the night after is even better than the roast though! Love your motto on not cooking anything that takes longer to cook than it does to eat! –I would totally make this ugly baby. 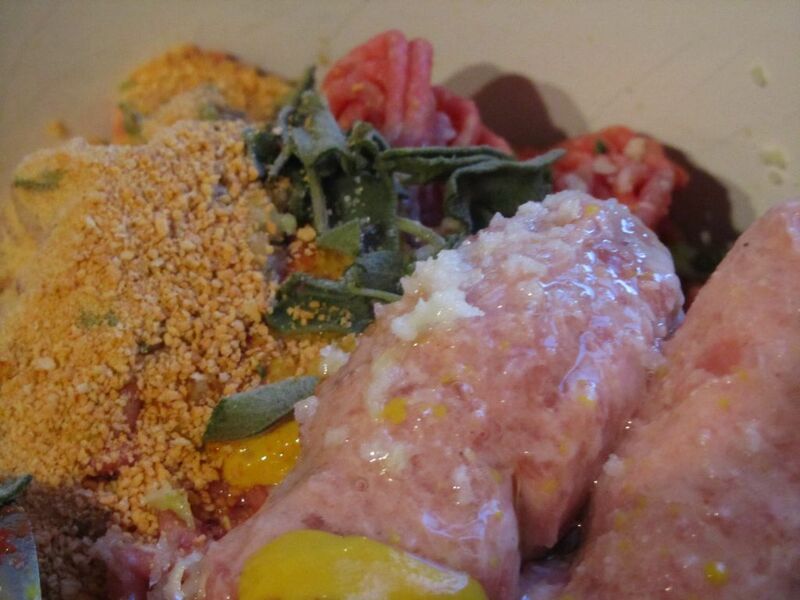 I love that you add sage to this meat loaf! Mmmmmmmmmmmmmmm. Thanks Kim 🙂 The sage is very yummy!